Spills & Stains Got You Seeing Red? Call Up Crispy Clean Instead! Call Our Experts To Help You Out! Couch Looking Like A Slouch? Our Cleaning Crew Would Love To Meet Your Loveseat! 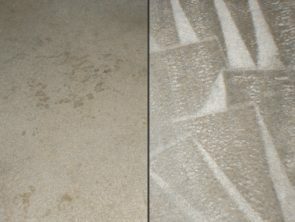 Crispy Clean is the premier carpet, tile, and upholstery cleaning company in Panama City Beach. We are a locally-owned & operated business, and use only specially-trained, professional cleaning technicians who are experienced in all types of floor and upholstery cleaning jobs. Whether you’re just looking for some help with your spring cleaning, or you’ve got some serious stains or pesky odors that just won’t go away, our crews can handle it all! Red wine stains on that brand new, white carpet? Having trouble remembering what color your tile and grout actually was when you installed it? Pets leaving not-so-favorite scents in their favorite spots? We can restore those floors and kick those odors out the doors! Keeping your floors clean and odor-free is about more than just image, though, it’s also about health and hygiene. Unfortunately we see and smell our own homes so frequently that it can often be difficult to notice the changes slowly taking place. Floors accumulate germs, bacteria, and allergens which can become embedded in the fibers of the carpeting or in the pores of the grout. These contaminants often get ground down below the surface where basic household cleaning techniques simply cannot reach them effectively. That’s where you need a professional cleaning service to come in! Using state-of-the-art cleaning methods, we can handle even the biggest residential or commercial jobs in the Panama City area. Our powerful, truck-mounted equipment loosens even the most deeply-embedded dirt, grime, and pollutants – then extracts it out to leave your floors looking and smelling like new in no time! We always stay updated on the latest cleaning solutions so that our professionals utilize the best methods for your specific needs. 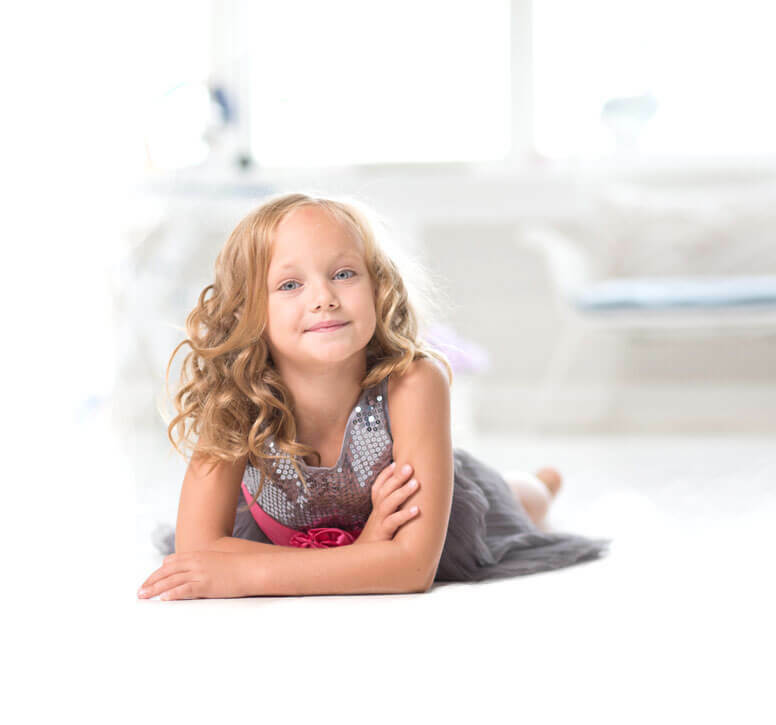 Our professionals are experienced with all aspects of carpet cleaning and rug cleaning for both residential and commercial projects across the Panama City area. 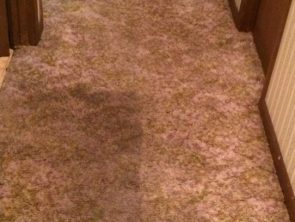 We are equipped to handle jobs of any size, from small spot and stain removal to renewing the overall look and smell of carpet in high-trafficked areas like living rooms, hallways, and office areas. Crispy Clean technicians clean deep down below the surface level to extract contaminants and dirt that household vacuums don’t have the power to reach. Have a special rug that needs gentle attention? That’s no problem either. You can trust us to handle it all! Pets can often be a wonderful addition to the household, and bring us lots of joy. Unfortunately they also often bring some unwanted extras along with them. Pet odors and stains tend to come along with even the cleanest among them, and despite even our best efforts these things frequently become a persistent nuisance. Pet odors like dog urine or cat urine can also be among the most challenging cleaning tasks for homeowners. Our professionals will work first to identify the source of the odor, and then use our proven techniques to rid your home of those unsightly pet stains and offensive pet odors. We don’t just cover up the smell, we remove it from its source! 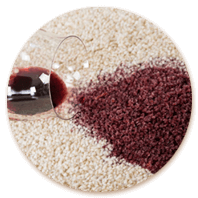 Brightly-colored stains on light carpeting can be a terrible eyesore, and among all the colors in the spectrum, red stains tend to make a homeowner cringe like no other. Red is also one of the most common colors you’ll find in many consumable products from Kool-Aid to red wine to ketchup, whether naturally-occurring or from added dyes. 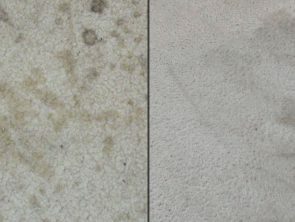 Acting quickly – and correctly – can be critical to treating red stains in carpets or rugs. 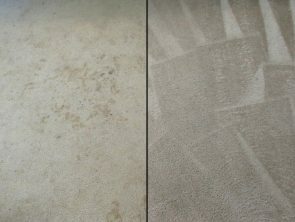 Many times people will attempt to “scrub out” the stains, without realizing they are actually grinding the stain deep into the fibers of the carpet and making their problem worse – or permanent! If you have a red stain that needs cleaning, call Crispy Clean right away! We can help guide you on how to best pre-treat the stain until we can arrive with our professional cleaning equipment to take care of it. Believe it or not, there’s often more to cleaning tile floors than a quick sweep and a mop, and more to cleaning tile counters and back splashes than a spray bottle and a rag. 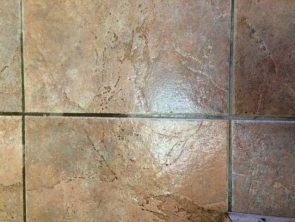 Tile and grout are typically porous materials, and although they may often be “sealed,” the sealant will wear off over time and those pores can eventually open up to absorb spills and stains. Using the wrong cleaning solution on your tile floors, tile counter tops, or tile back splashes can even cause permanent damage! 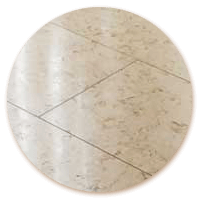 Crispy Clean’s experts can clean your tile and grout safely and effectively, to remove existing stains, lock out future stains, and make your floors shine better than new! From couches, loveseats, and recliners to those antique dining room chairs that have been in your family for years, Crispy Clean can have them looking and smelling like new in no time! The average home has upholstery made from multiple varieties of different fabrics and materials. 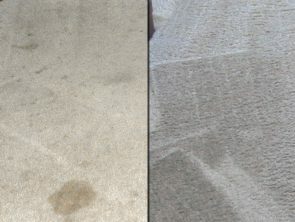 Each of these materials have unique requirements for proper cleaning and maintenance. Our professionals are specially trained to identify these materials and safely apply the appropriate techniques. Before you consider tossing out that sofa because of that annoying stain or that strange odor, let us show you how we can help renew your furniture! 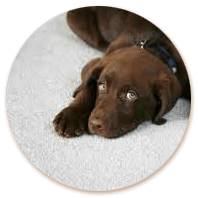 All of our jobs begin with a thorough inspection by one of our highly-trained professionals, analyzing the carpet material & level of soiling, and advising of any areas that may be permanently stained. Prior to our arrival, please remove all breakable items from furniture that will be moved, as well as any small items on the floor. 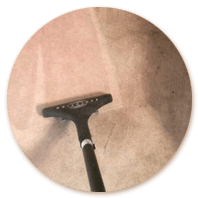 Vacuuming is an important step prior to beginning any deep-cleaning work. 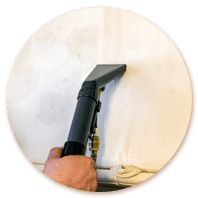 Our crew will thoroughly vacuum away all surface-level dirt and other contaminants. 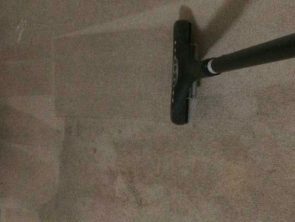 This step will help to prevent any dry soil or other surface solids from being scrubbed into the fibers of the carpet that could cause permanent damage. 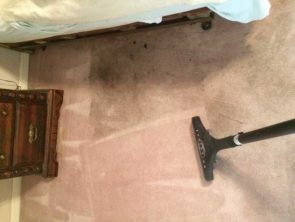 Once vacuuming is complete, our carpet cleaning professionals will begin pre-treating high-trafficked areas, as well as spots and stains using specialized cleaning solutions and a scrubbing machine. This helps to loosen up those tough areas for a more thorough, deep cleaning with our professional equipment. Once the carpet has been vacuumed and spots & stains pre-treated, we will begin the deep cleaning process. Using our state-of-the-art, van-mounted equipment we will flush the carpet with a pressurized, high-temperature wash that is regulated between 225°F – 240°F to ensure the best clean possible. 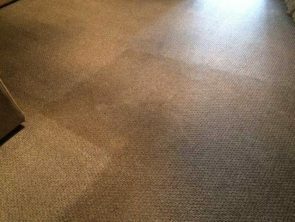 While our deep cleaning machine flushes your carpet with the high-temperature wash, it simultaneously performs an extraction of the water and residual moisture to help keep your carpet as dry as possible. If conditions are favorable, our crew will also bring in drying fans to ensure all carpeting gets dried quickly. After our professionals are finished with the cleaning process, we encourage you to perform a thorough walk-through inspection of all areas cleaned. Be cautious as some surfaces may still be slick immediately after. Please keep traffic minimal on the cleaned areas for the first 8-hours. Floors may be vacuumed after 24-hours. 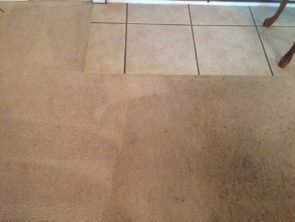 Crispy Clean Carpet & Tile Cleaning in Panama City Beach, FL © 2019.